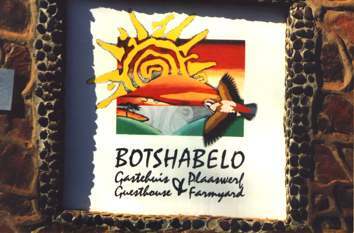 The names of the Guesthouses are sorted alphabetically. 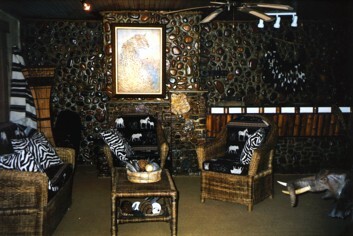 It is Angela's aim to make you feel welcome and ensure that your visit is enjoyable. She hopes to instill a little Marico magic into your life. 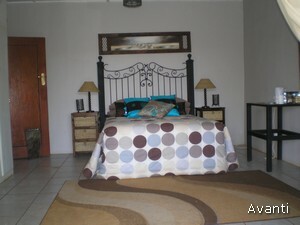 Two family bedrooms and two double bedrooms, all with bathrooms en-suite. 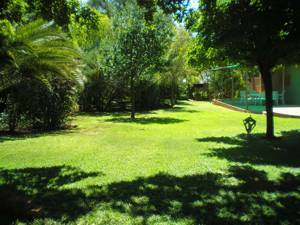 Large stoep (veranda) overlooking well established garden. Tv room with Satellite TV. Orchard with a variety of seasonal fruits available during the year. 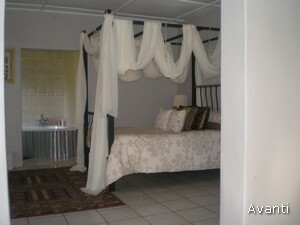 Recently built self catering cottage in orchard, with lounge, fully equipped kitchen, two bedrooms and bathroom. 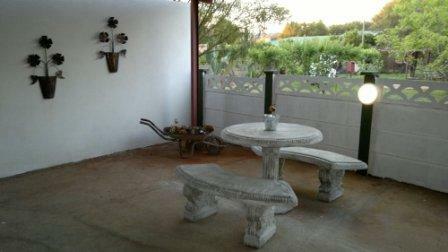 The cottage has its own stoep and braai area. 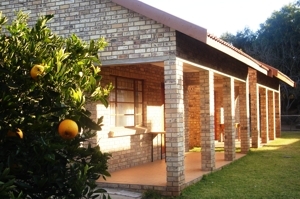 Our guest house is situated 500 metres from the main road - The Platinum Toll Road. 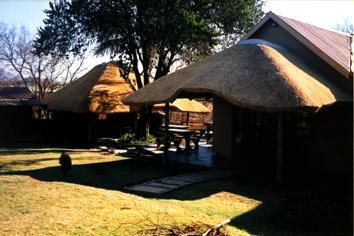 It's the ideal stay over on the route to Botswana, Namibia and Zimbabwe. 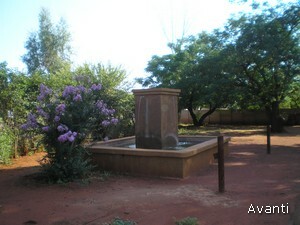 Bird watching: Over 300 species of birds have been identified in the area including highveld and bushfeld species. Fishing: Within the Marico district there are 5 different dams with fishing potential. 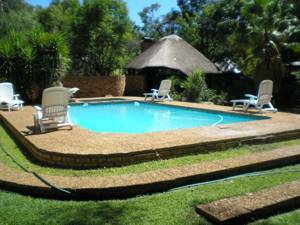 Entertainment: Groot-Marico is just a 1 hour drive to or from Sun City and the famous Lost City which is one of South-Africa's most popular entertainment destinations. Scuba Diving at the Oog. 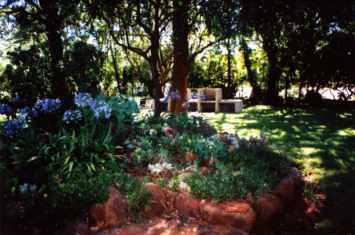 Braai packs and salads available on request. 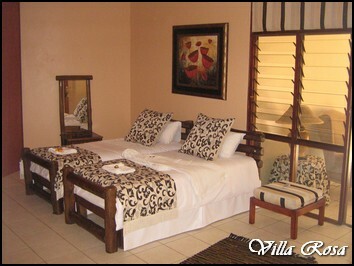 5 En-suite luxury rooms, each with own kitchenette and separate entrance. 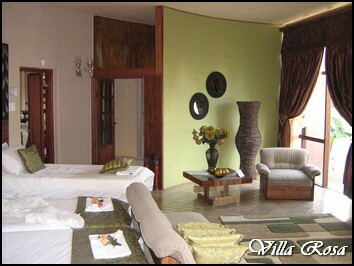 Each room expresses its own theme. 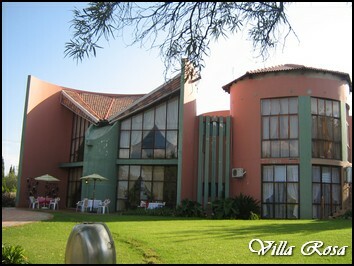 Avanti Overnight is ideally situated on the N4 route via Botswana to Namibia. 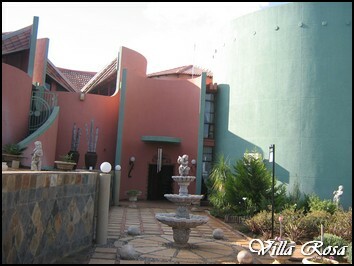 An attractive mix of convenience, privacy, unobtrusive hospitality and outstanding service. 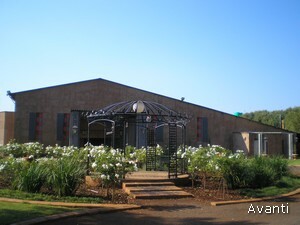 Elegant, yet comfortable and relaxed self catering accommodation on the outskirts of Zeerust in a peacefull farmstyle enviroment. 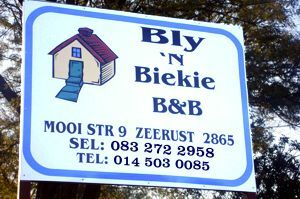 "Bly 'n Biekie" literally translated, means "Stay a while". 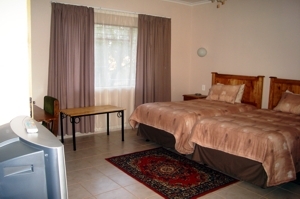 It is a comfortable and cosy Bed and Breakfast establishment in Zeerust on a quiet street and with safe parking. Can sleep total of 12 persons. All meals available on request. 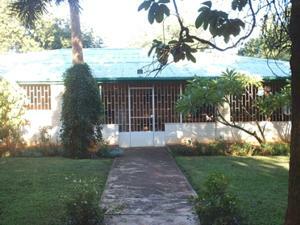 Access to Internet, fax and telephone. Not available for international house exchange. 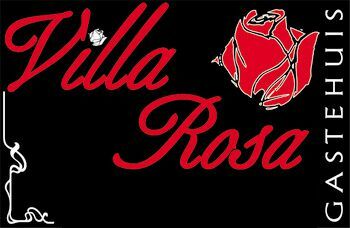 Available for daily rental for movie shoots. 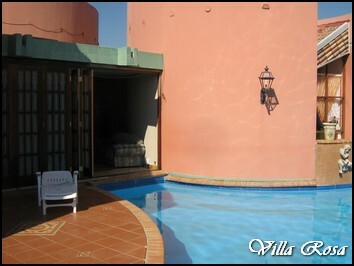 Enquiries welcome from Agents as well as direct from individual guests. 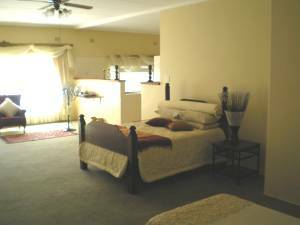 Situated at the foot of a mountain at the edge of town you can experience the safety and tranquillity of Mountain View guest house with your friendly hosts Ebden and Daleen Theunissen to cater for your accommodation needs for a quiet and peacefull nights rest. After your nights recharge you can wake up to a scrumptious breakfast from our continental menu. 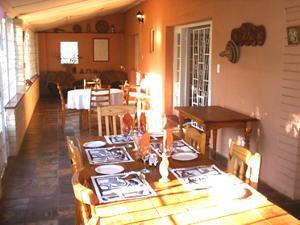 Mountain View guest lodge offers you 7 elegant rooms named Faith, Hope, Happiness, Joy, Peace and Patience. 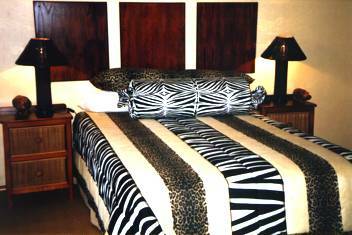 Our rooms offer the choice of shower or bath, with single or double with Dstv and ensuite coffee and tea. 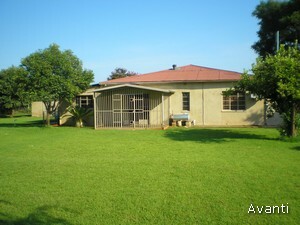 Rooms exit on a veranda where braai facilities are available. 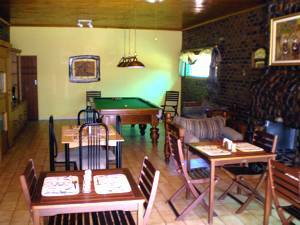 Family rooms are also available for the travelling family. Safe and secure parking for your vehicles with electric gate access. Contact the Information Centre for bookings or more information.